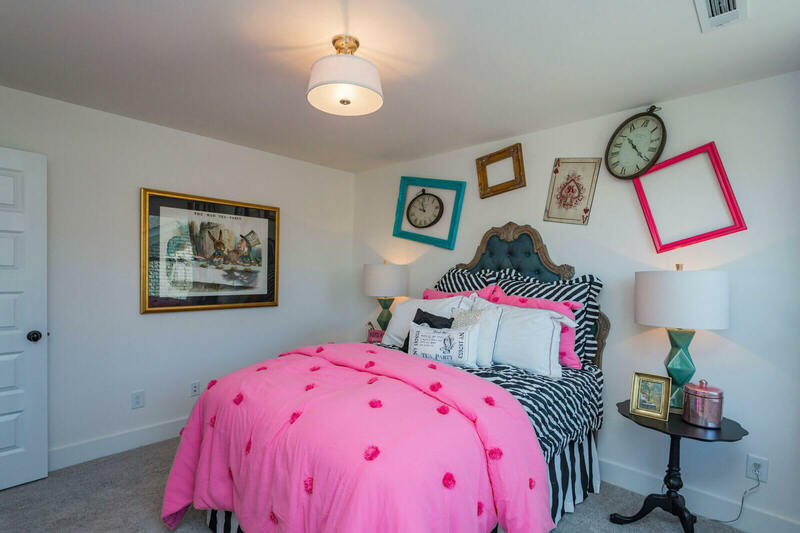 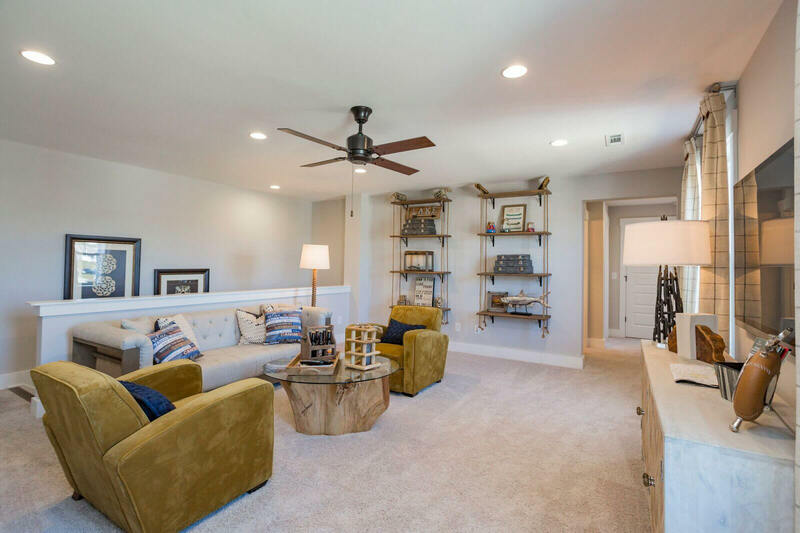 With Drees Homes, open, spacious floor plans are designed to fit the way your family lives. 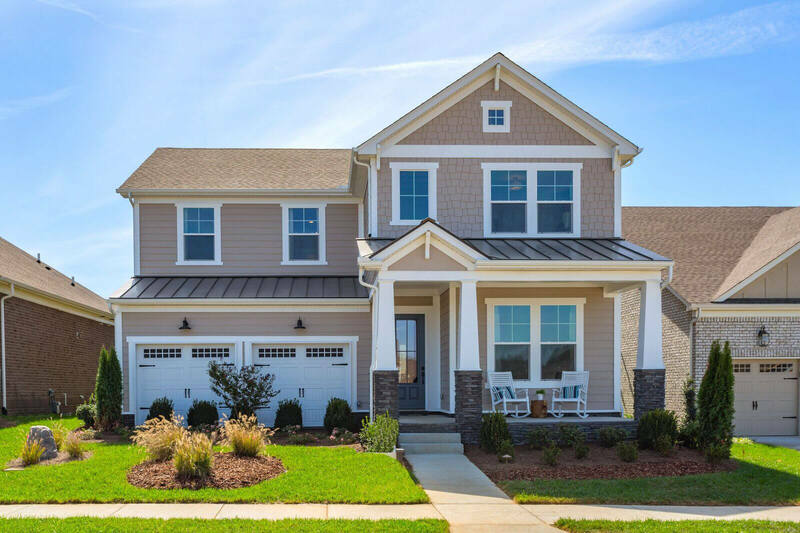 Durham Farms is delighted to serve as home to 8 of their most accommodating floorplans in the area. 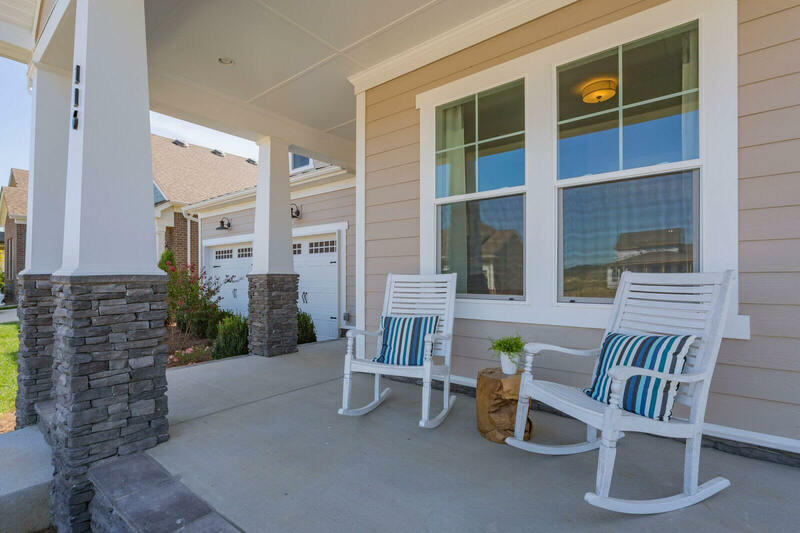 Front-porch lifestyle spaces and multi-car garage convenience are just two hallmarks of their neighborhood-friendly designs. 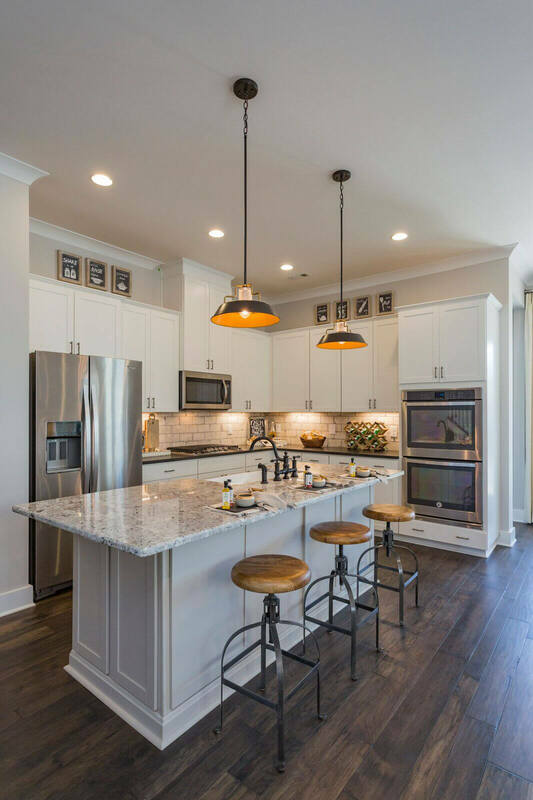 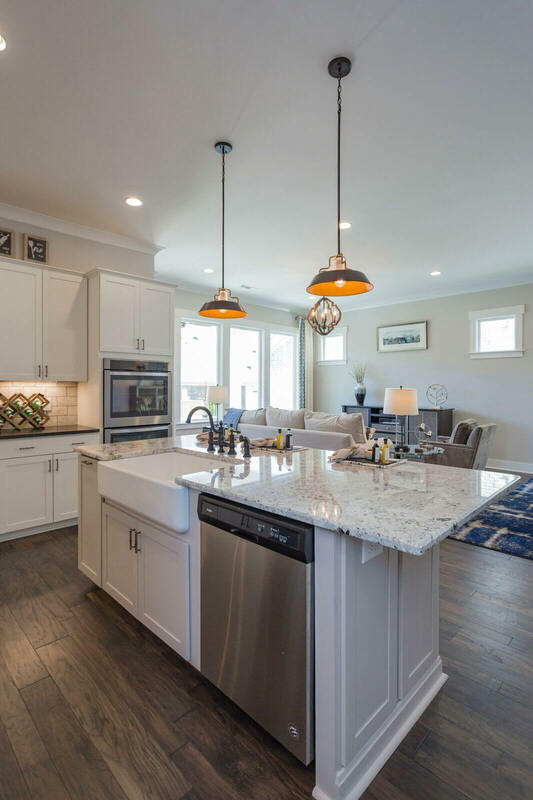 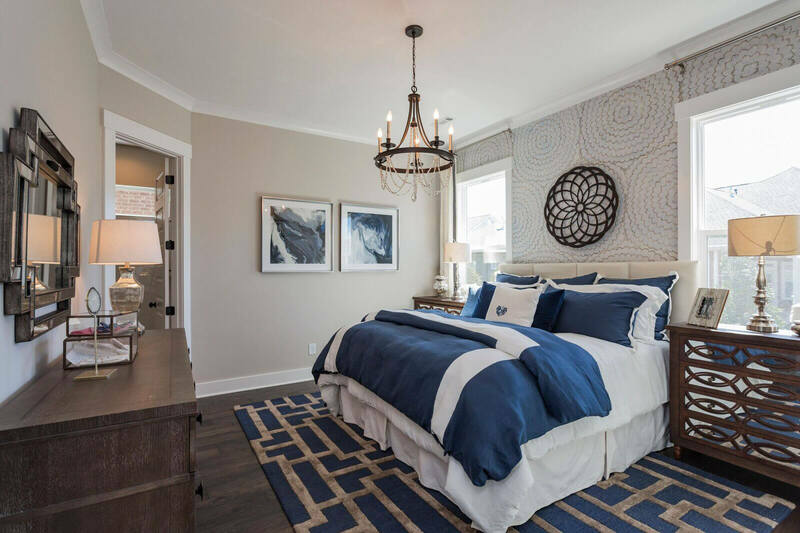 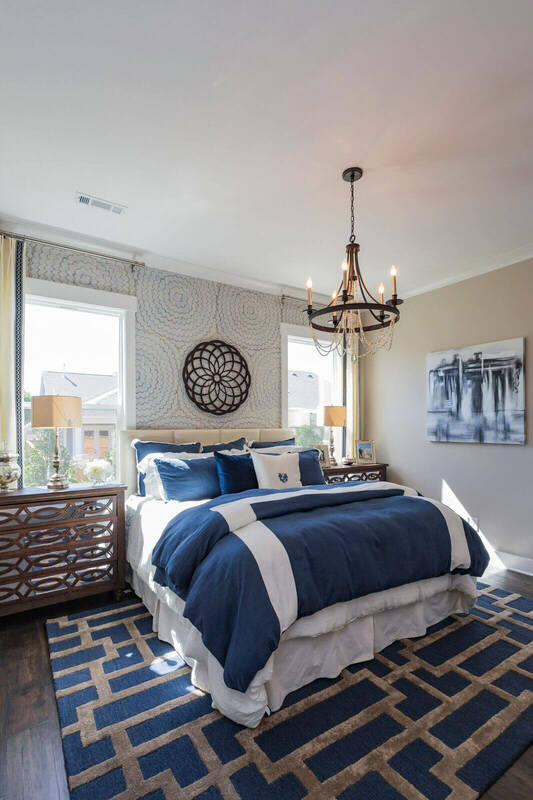 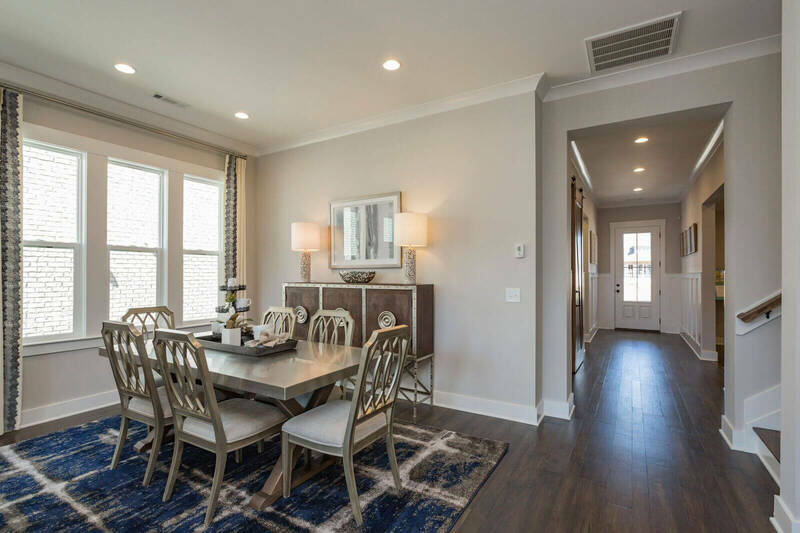 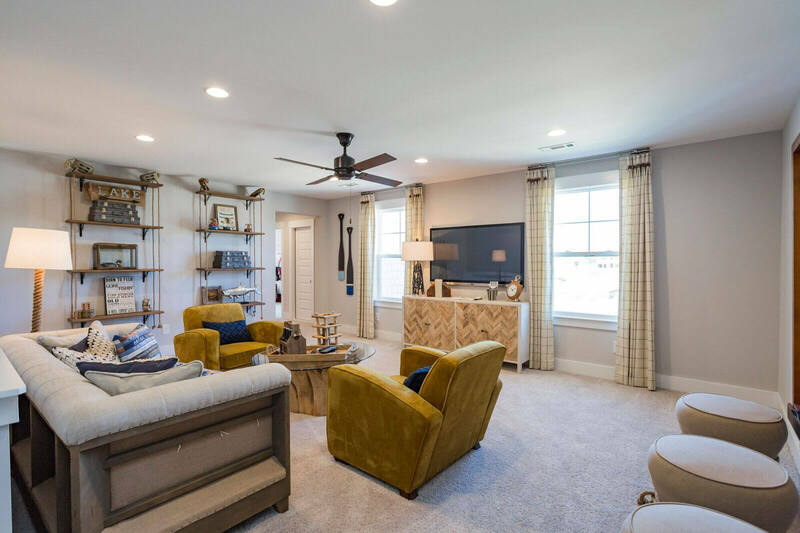 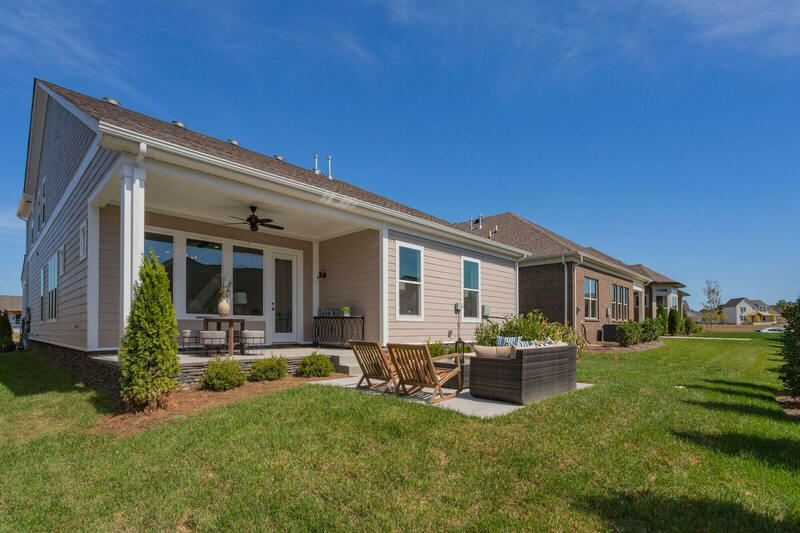 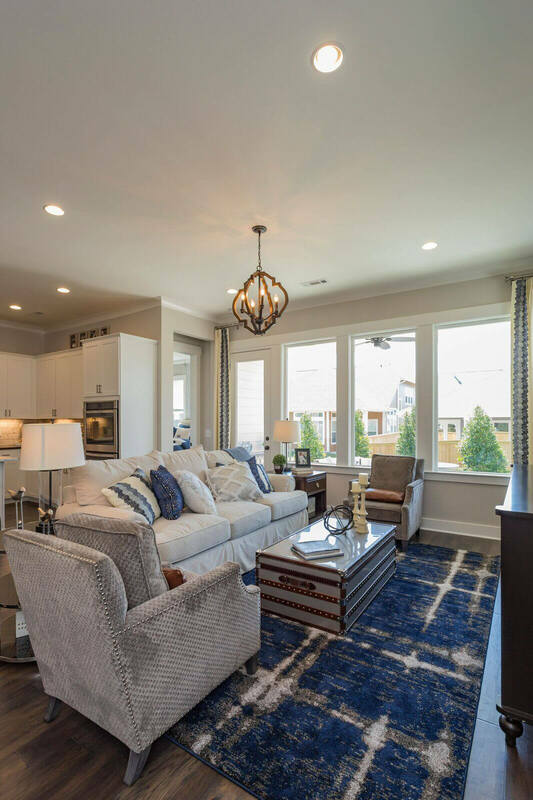 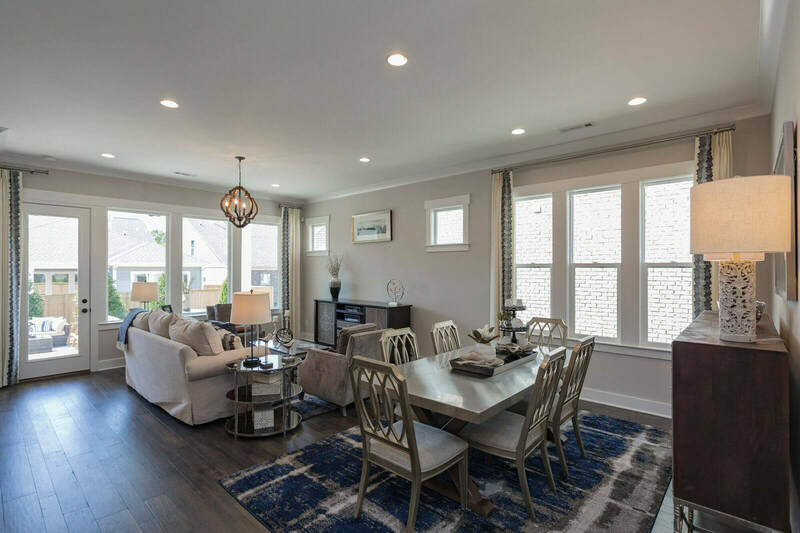 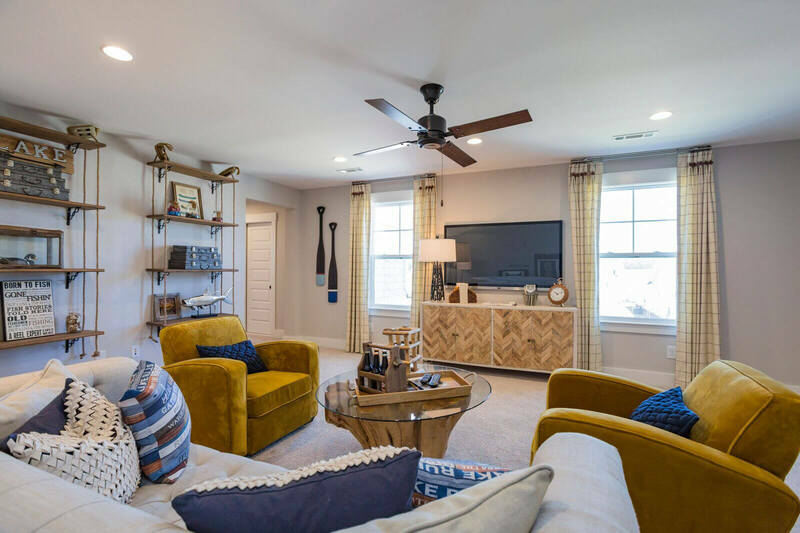 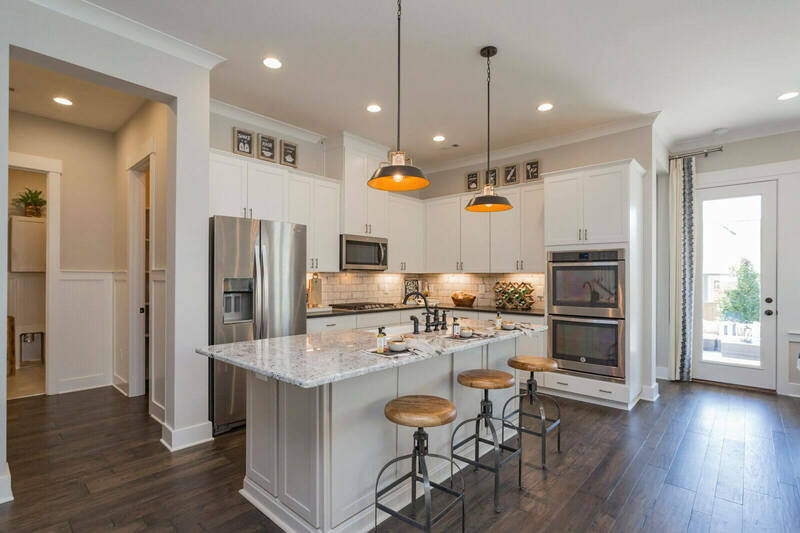 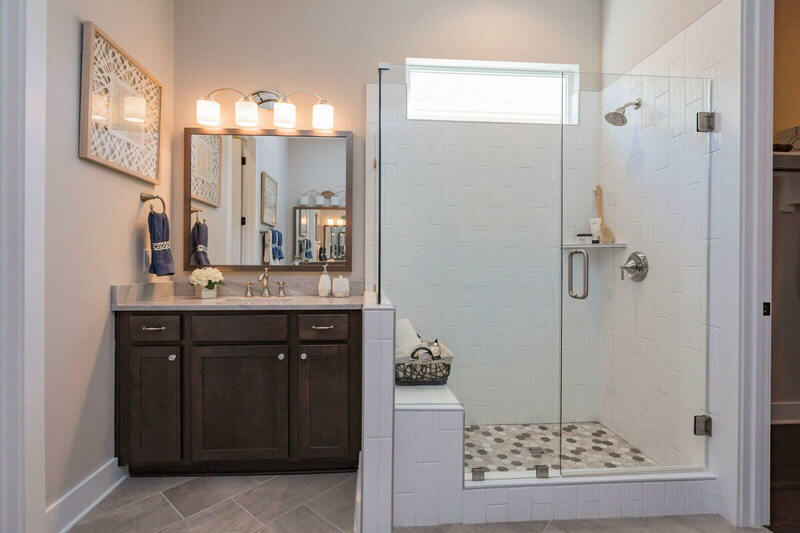 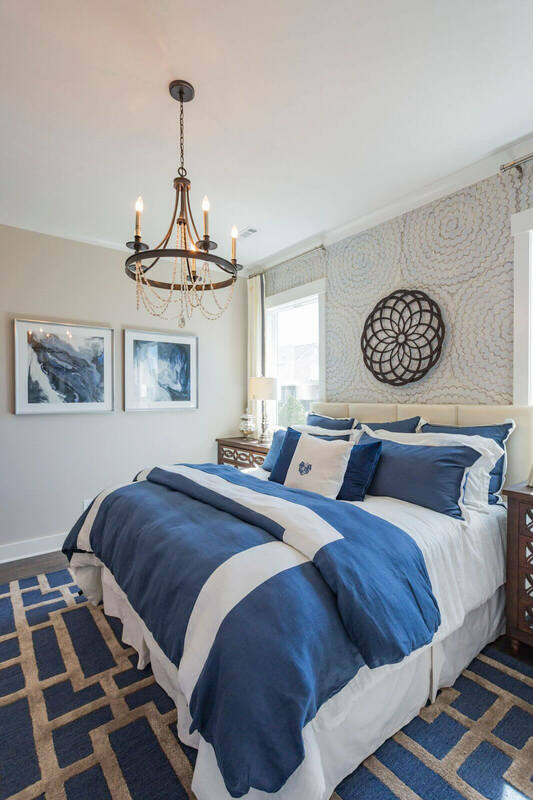 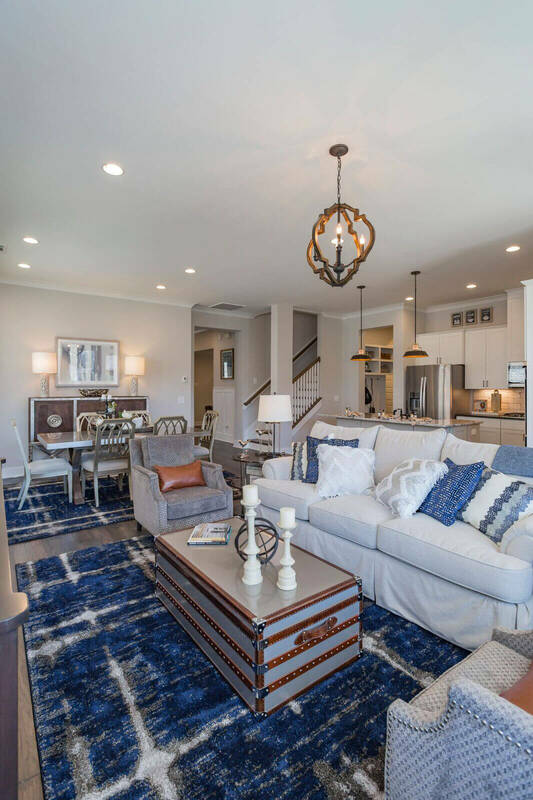 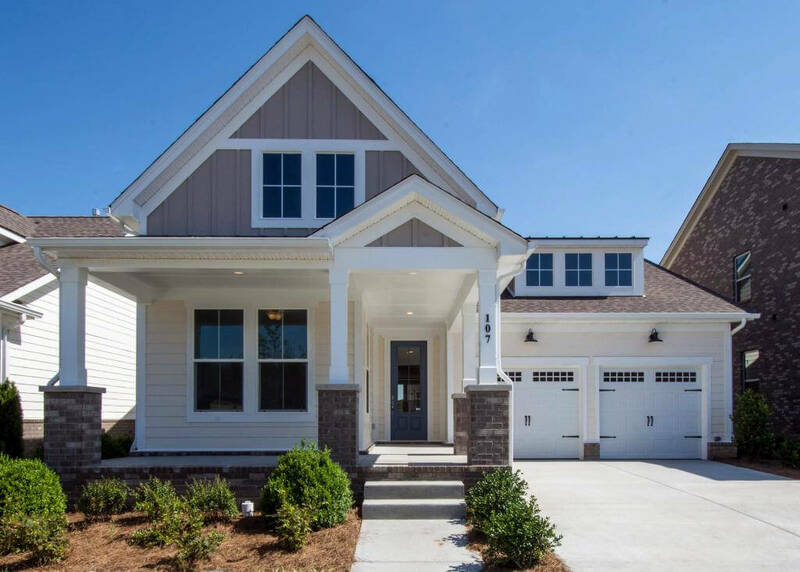 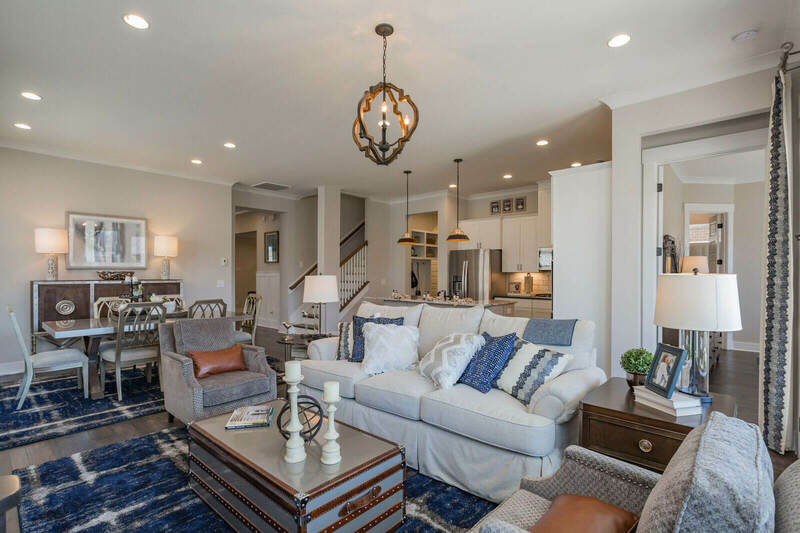 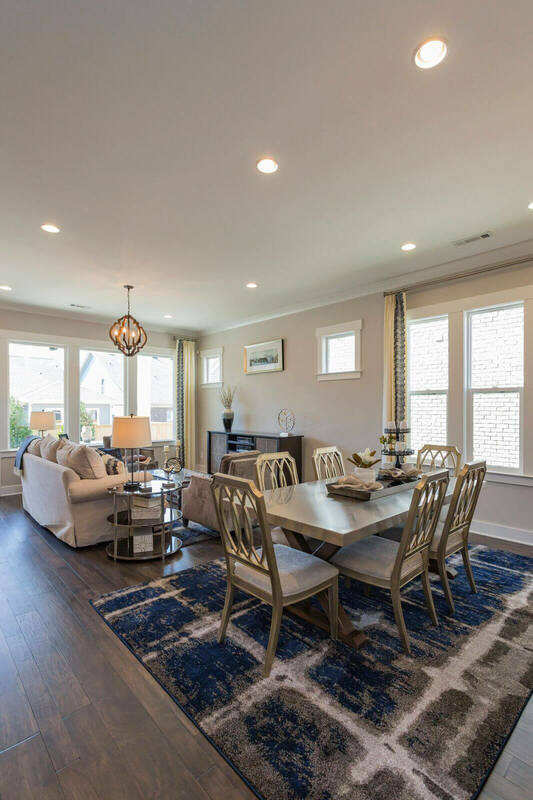 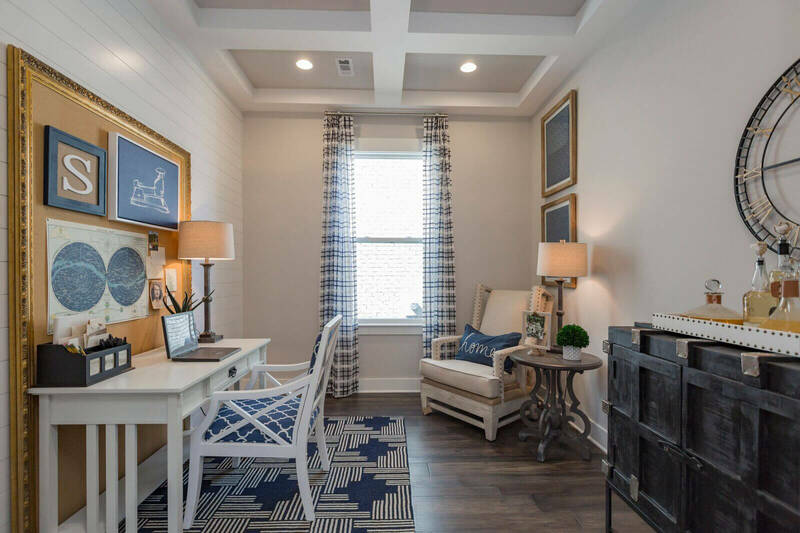 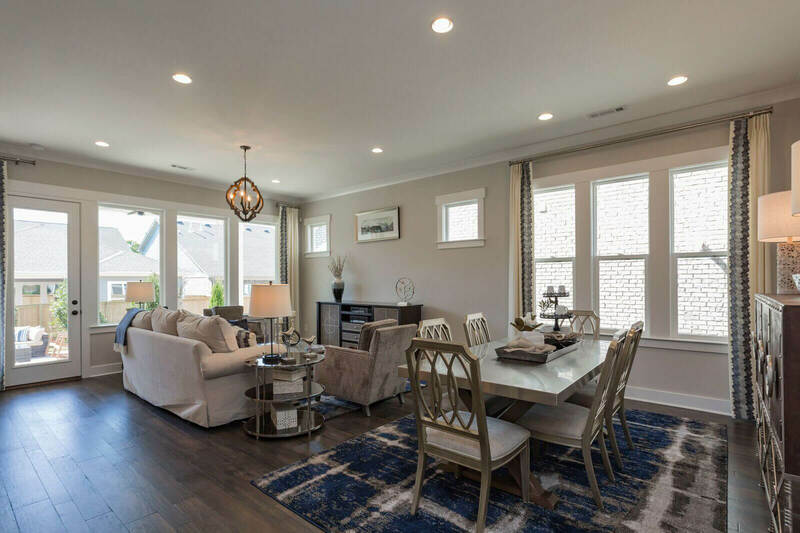 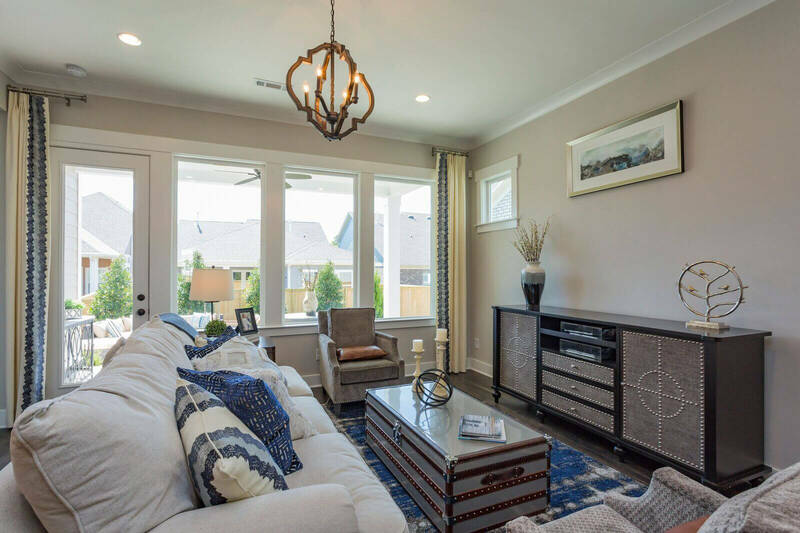 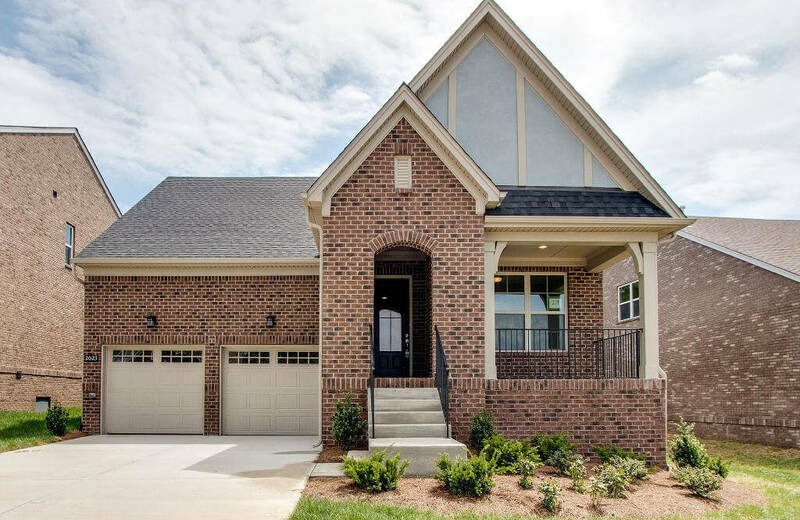 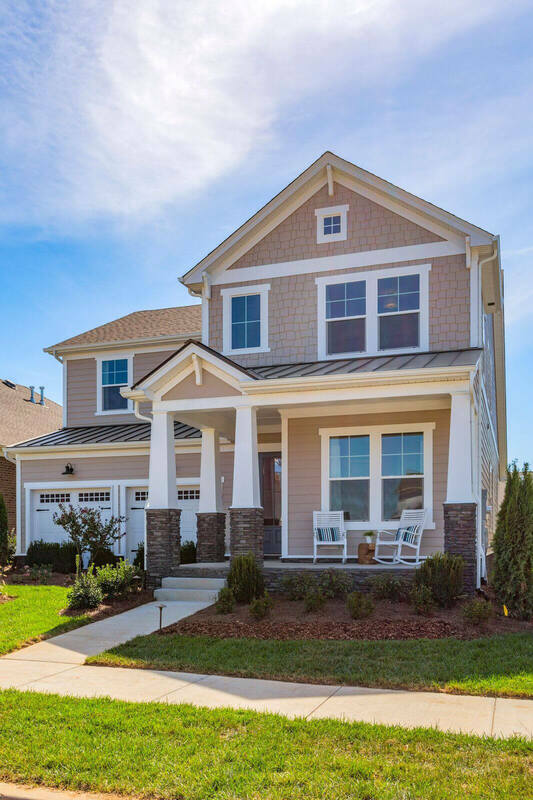 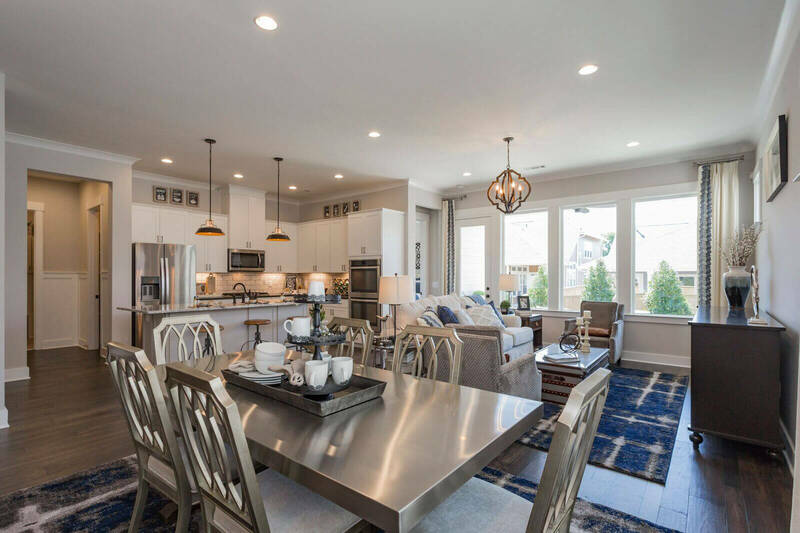 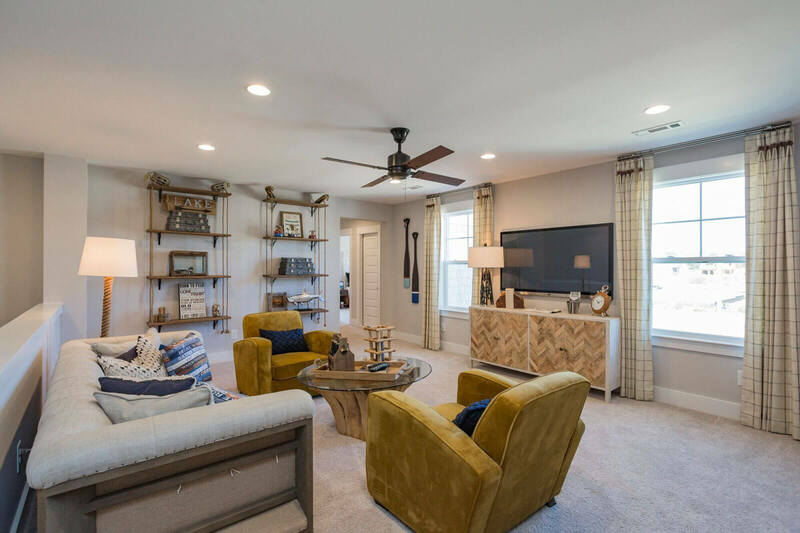 Drees Homes available at Durham Farms have been especially selected for a community where easy neighborly interaction and family activity are a welcomed value. 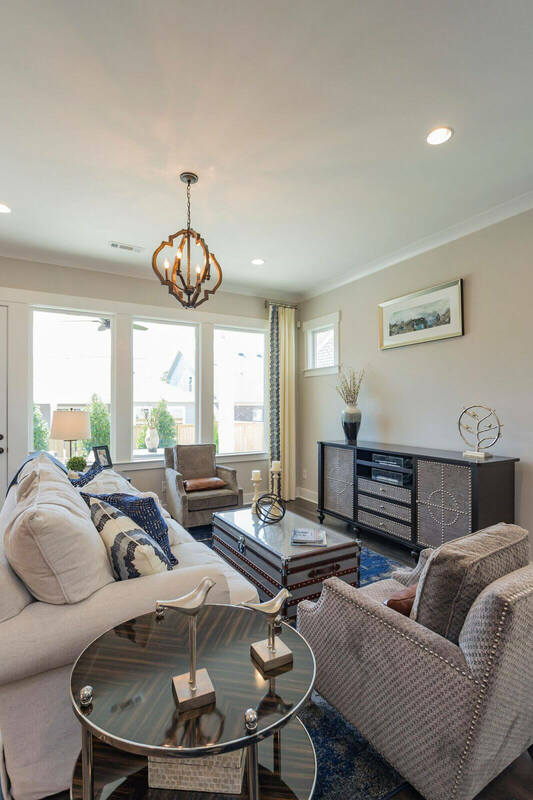 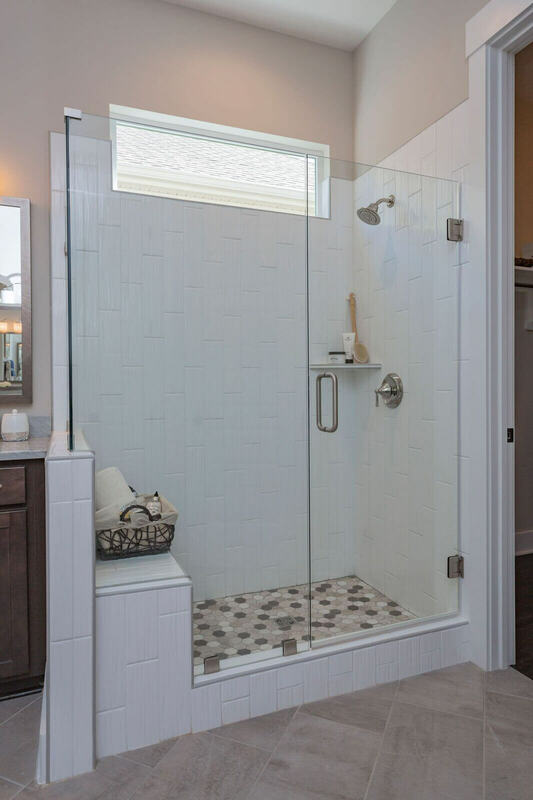 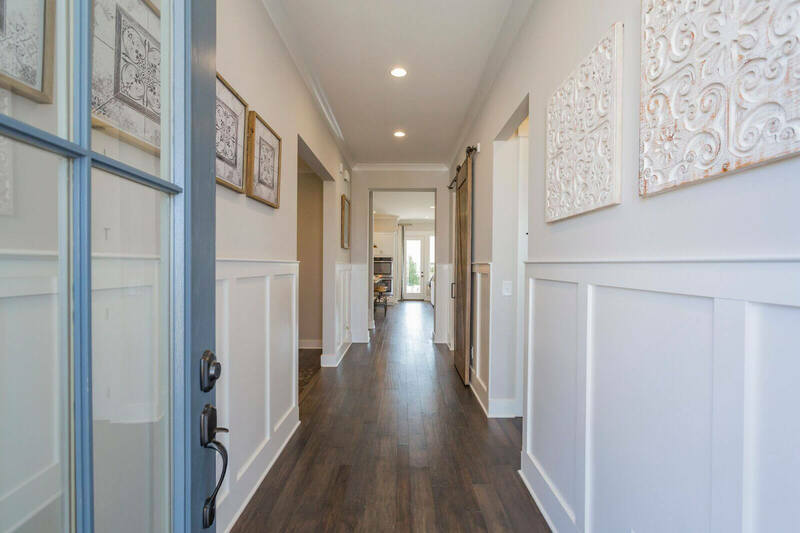 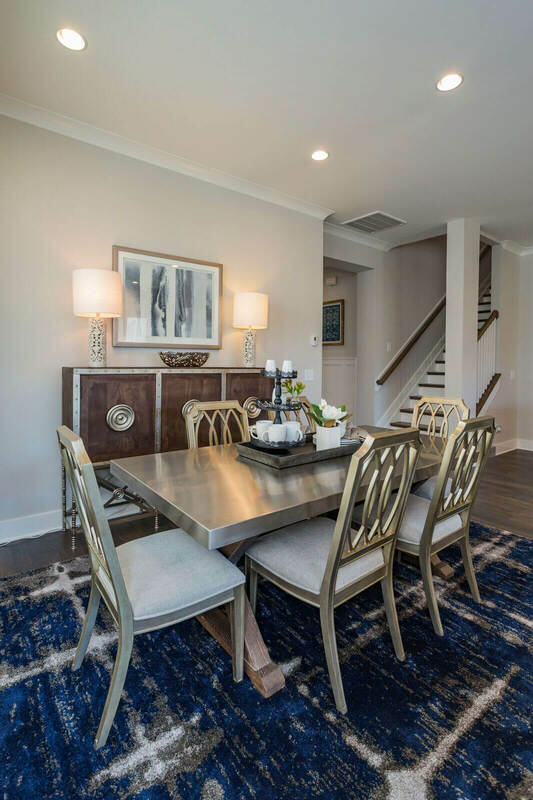 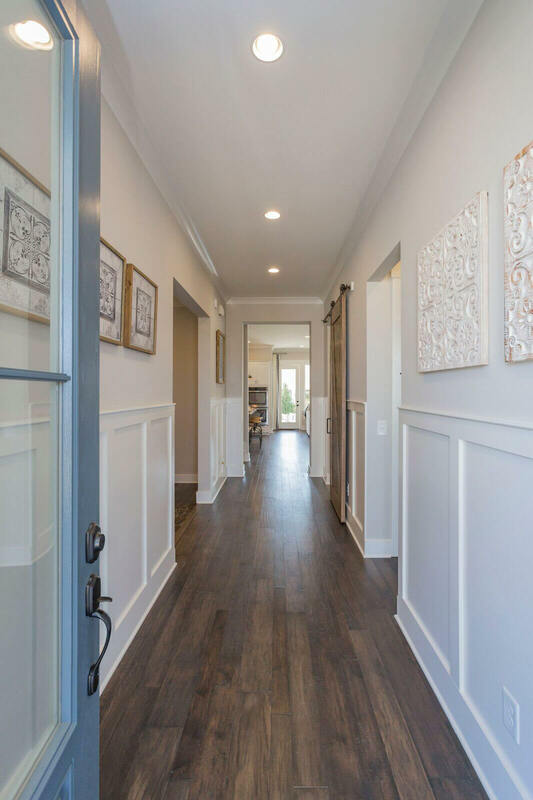 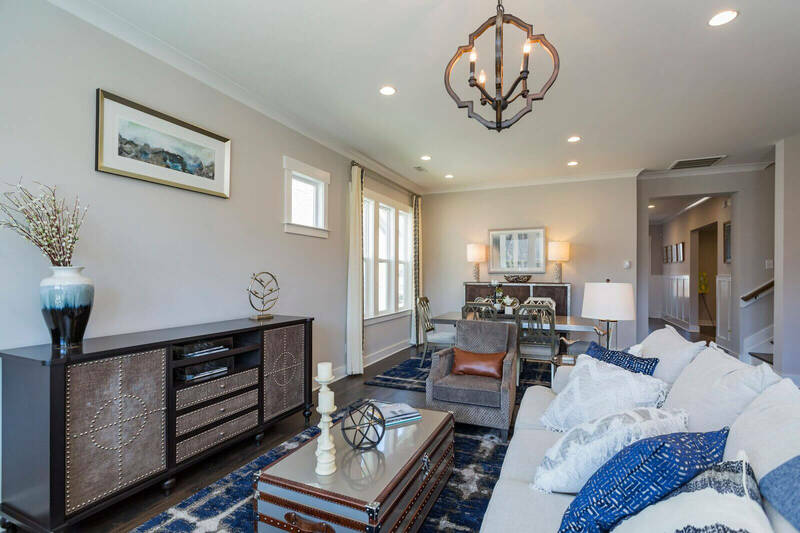 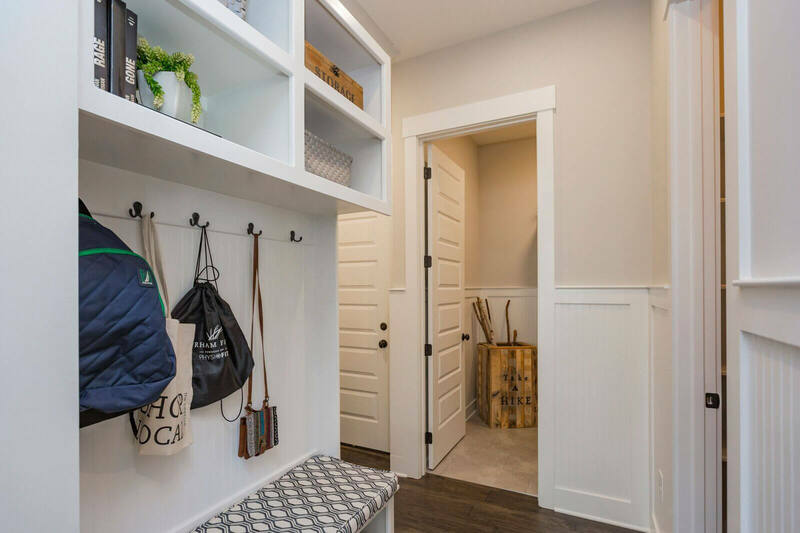 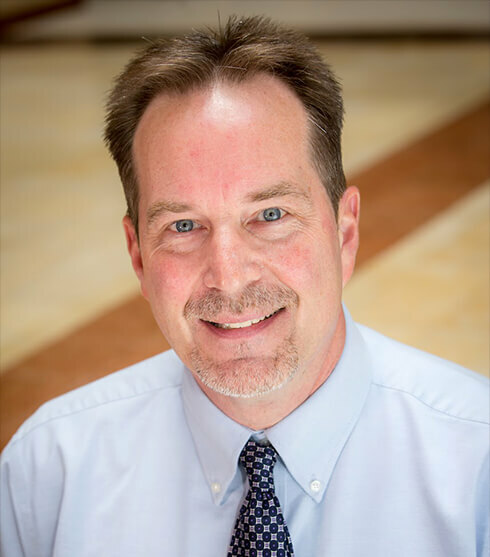 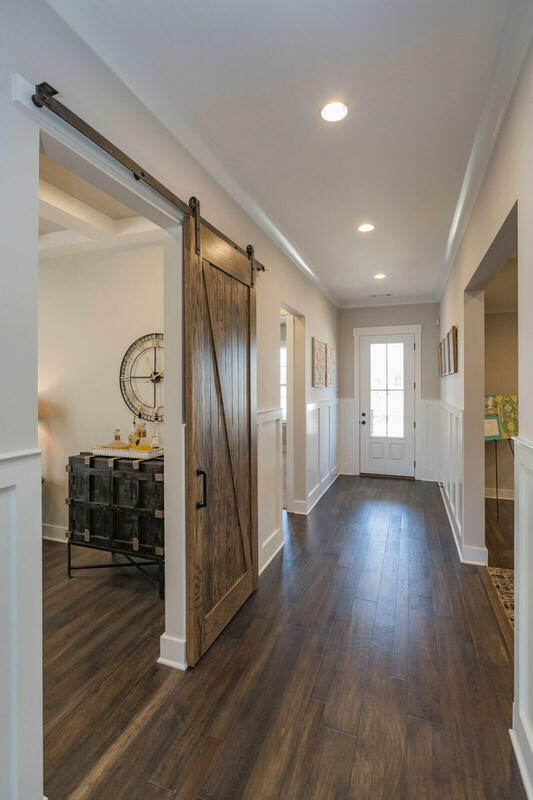 There is an attention to detail that 85 years of award-winning work, from a family-owned builder, brings to the design of a fulfilling family living experience. 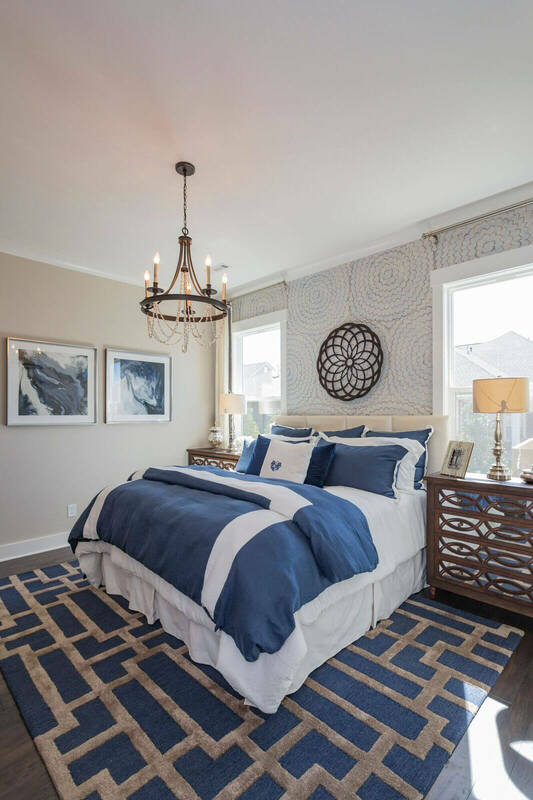 The Abigail features all the essentials in a simple, convenient layout with generous customization options. 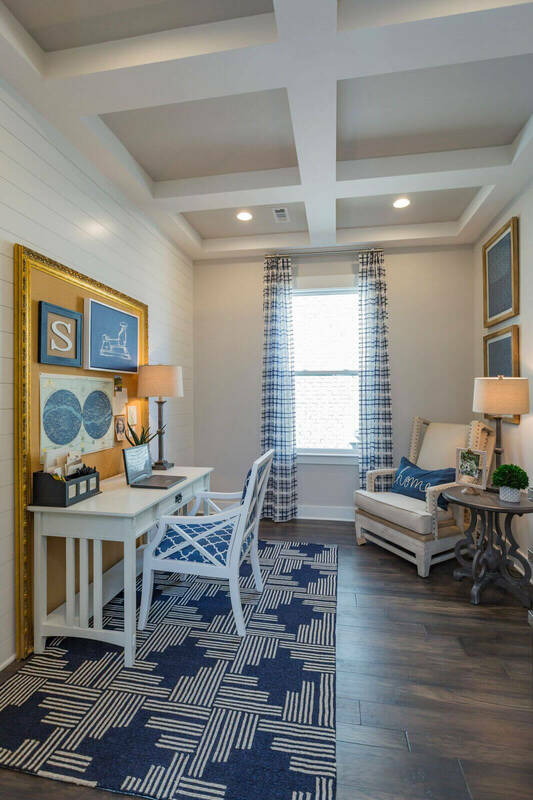 Your first choice lies just off the main foyer, where you can opt for a fourth bedroom or a private study, perfect for a home office. 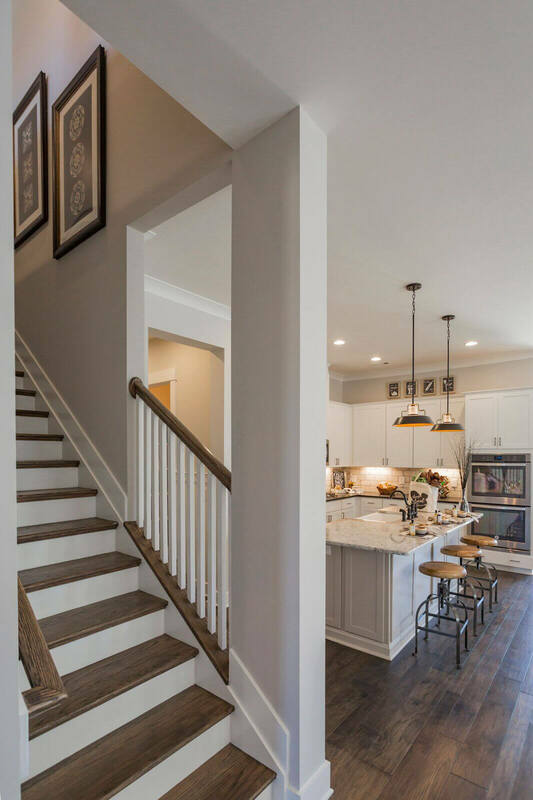 Continuing through the foyer reveals the common living space of the home, including the island kitchen, open dining room, and spacious family room with optional fireplace. 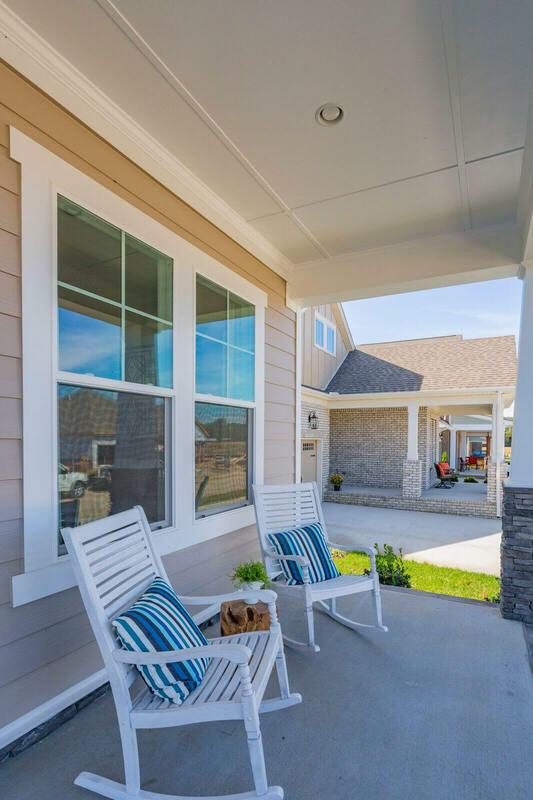 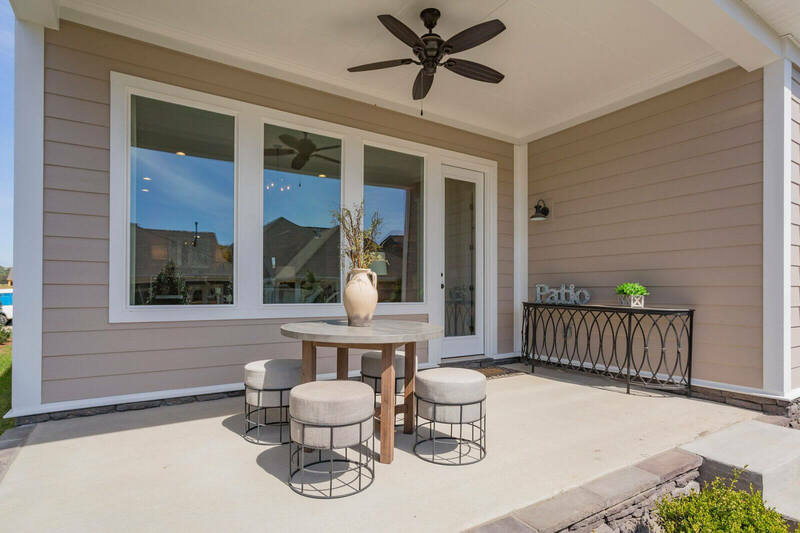 For families that value a breath of fresh air, opt for the covered porch to extend your living space even further. 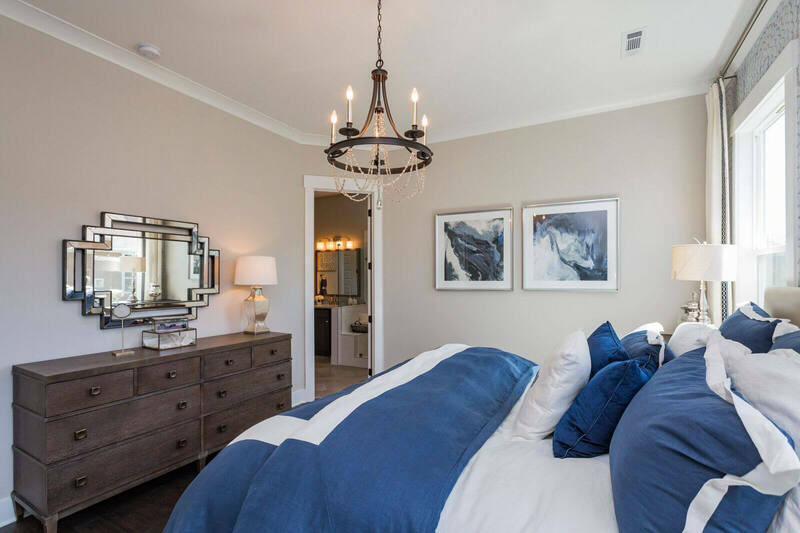 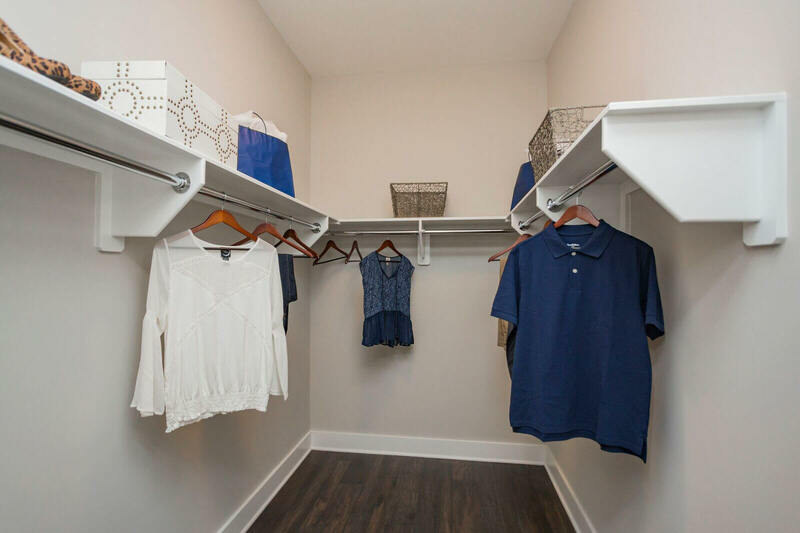 When it is time to relax, an owner’s suite with optional tray ceiling, large walk-in closet and spa-like bath will be waiting. 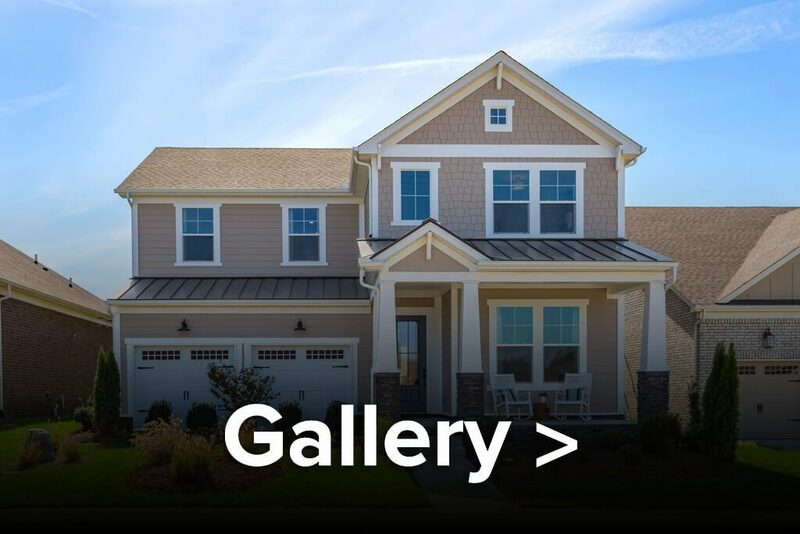 ​Click here for the interactive floor plan​. 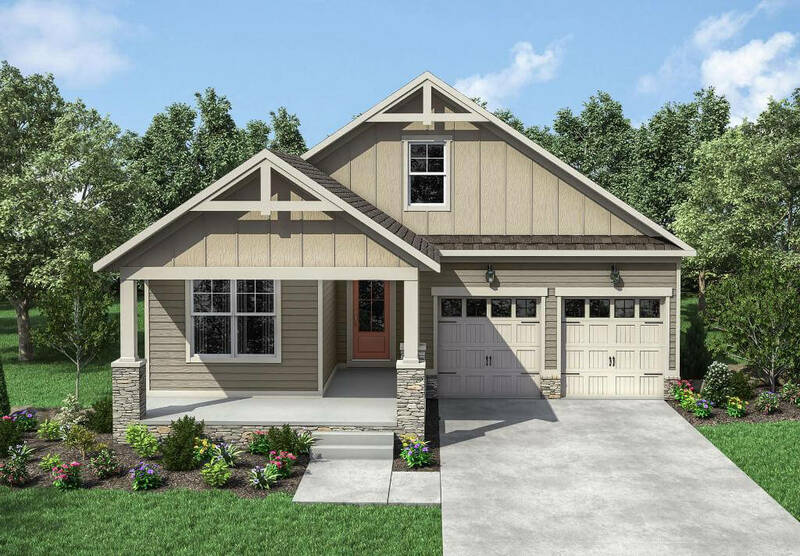 The Adelaide was designed to ease family living and provide usable space for the whole family. 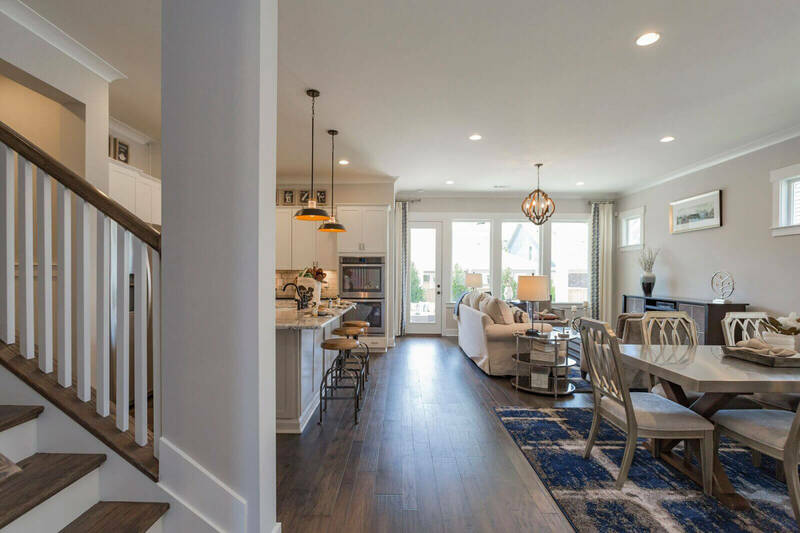 Through the foyer is the common living space of the home, including the island kitchen, open dining room, and spacious family room with optional fireplace. 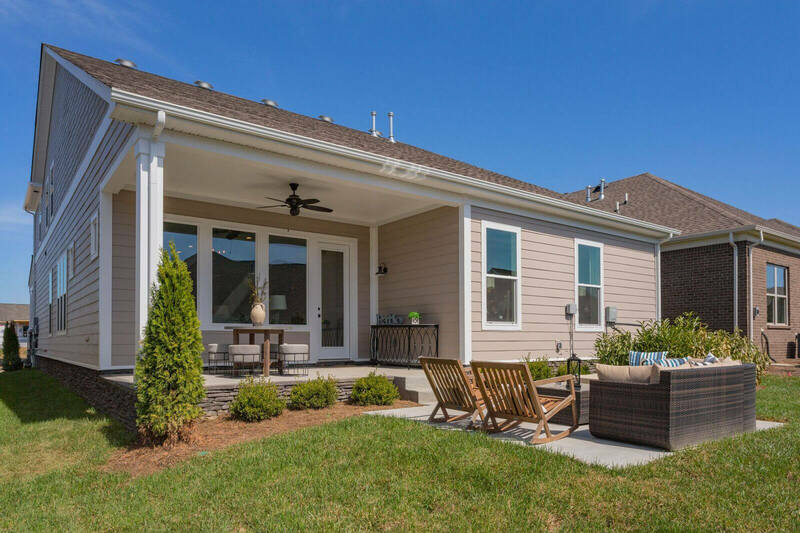 To extend your living space even further, enjoy a covered porch located right off the dining area. 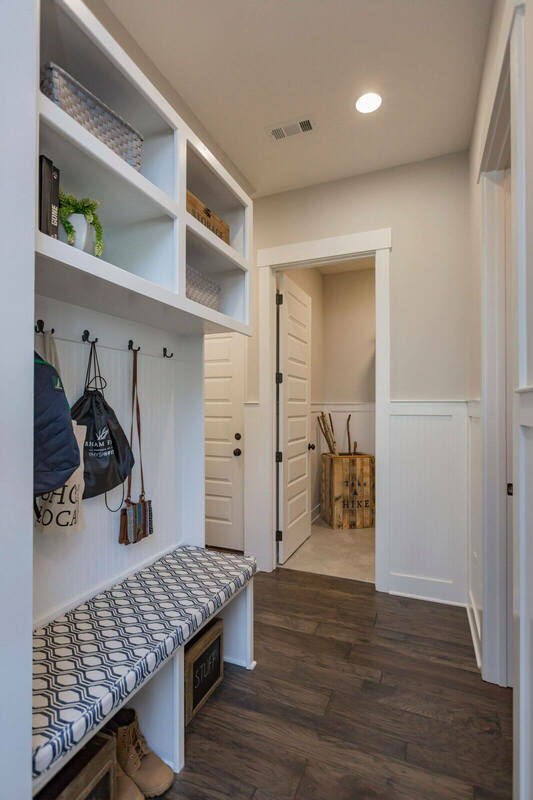 The family foyer with bench and large pantry will help organize life’s daily messes and keep items out of sight. 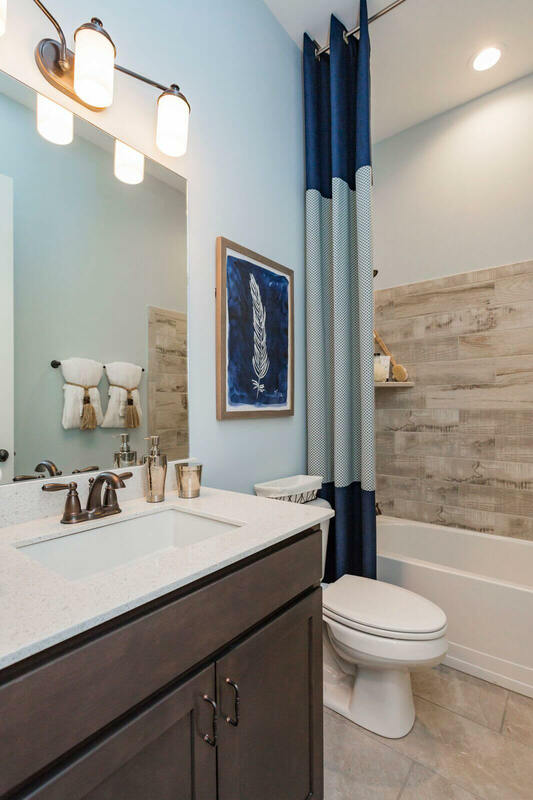 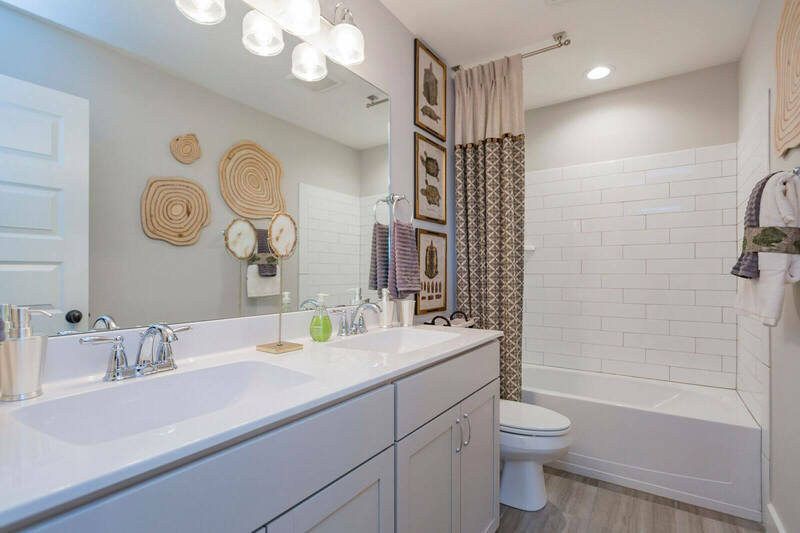 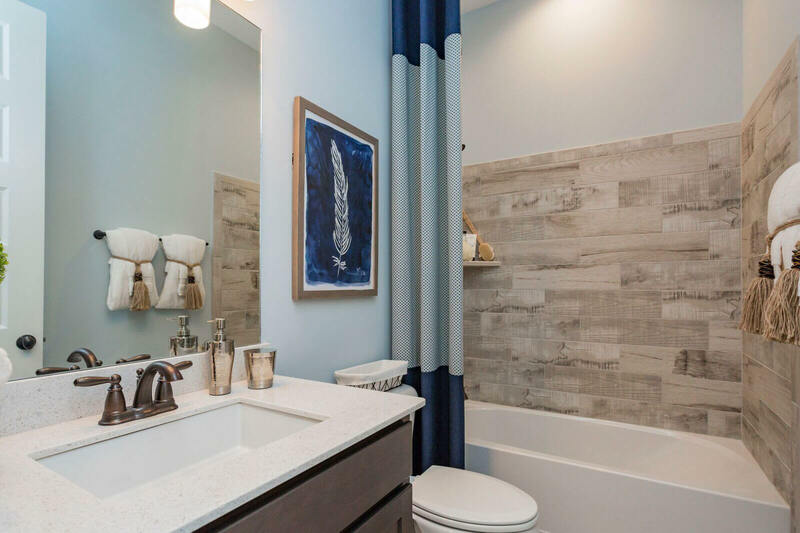 As the day unwinds you will be able to escape to your personal oasis in the secluded owner’s suite located in the back of the home featuring a huge walk-in close and luxury bath. 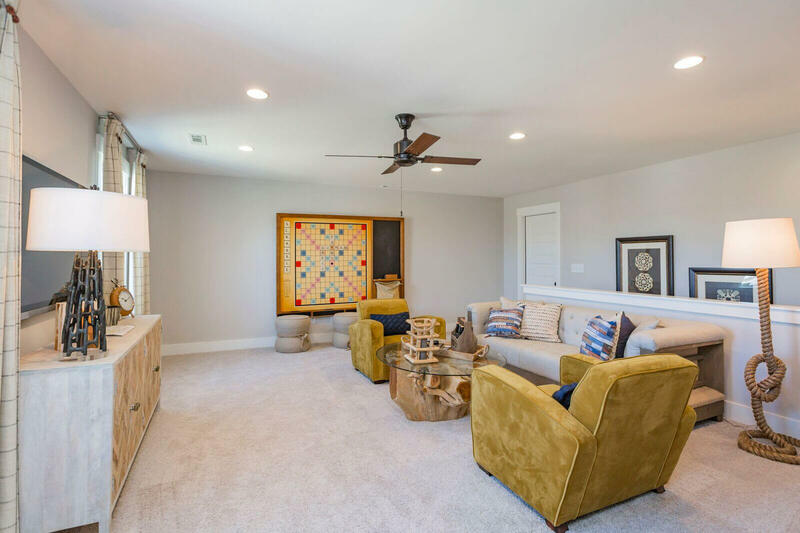 Last but not least, kids will enjoy the large game room perfect for hosting their friends and keeping the noise upstairs away from it all; an optional full size bathroom can be added for extra convenience. 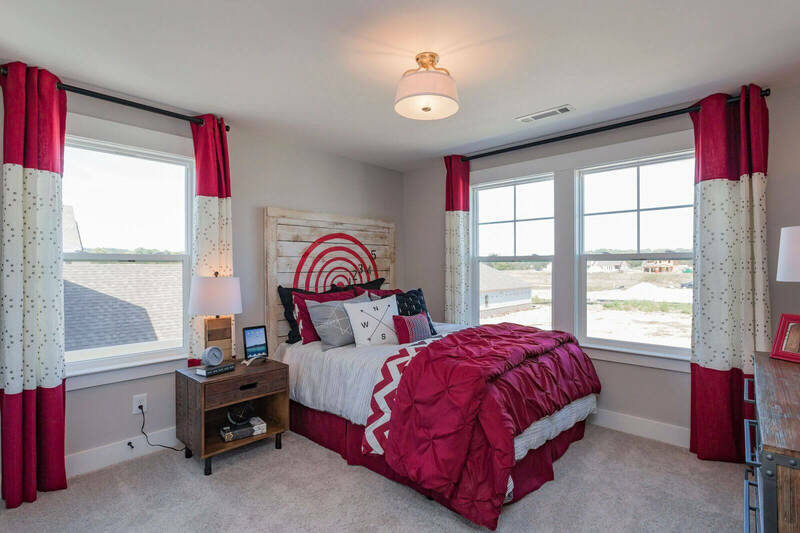 ​Click ​​here​ for the interactive floor plan​. 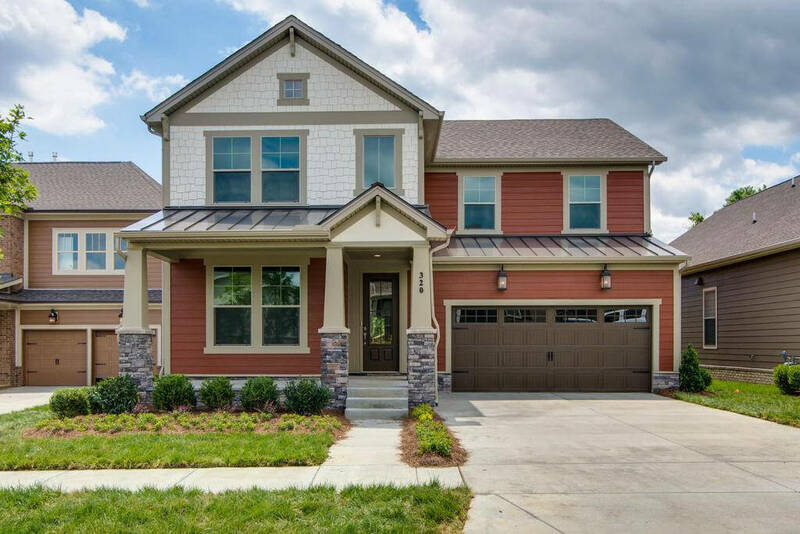 This amazing two-story home is perfect for your growing family. 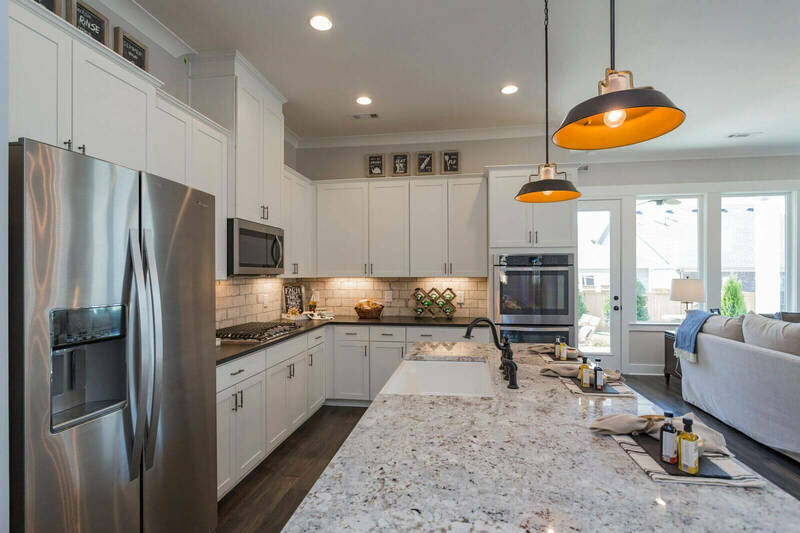 The large kitchen with its convenient walk-in pantry and expansive island are a chef’s dream. 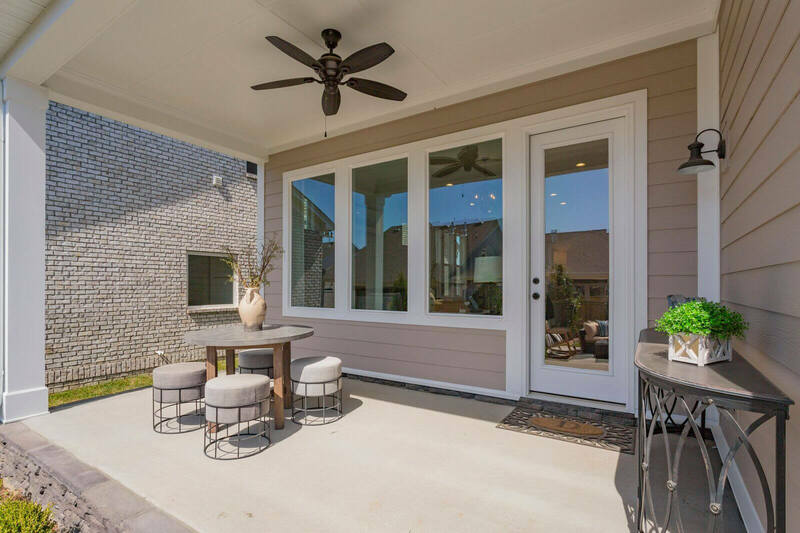 This area flows openly to the dining room, family room featuring a cozy fireplace, and the outdoor covered porch. 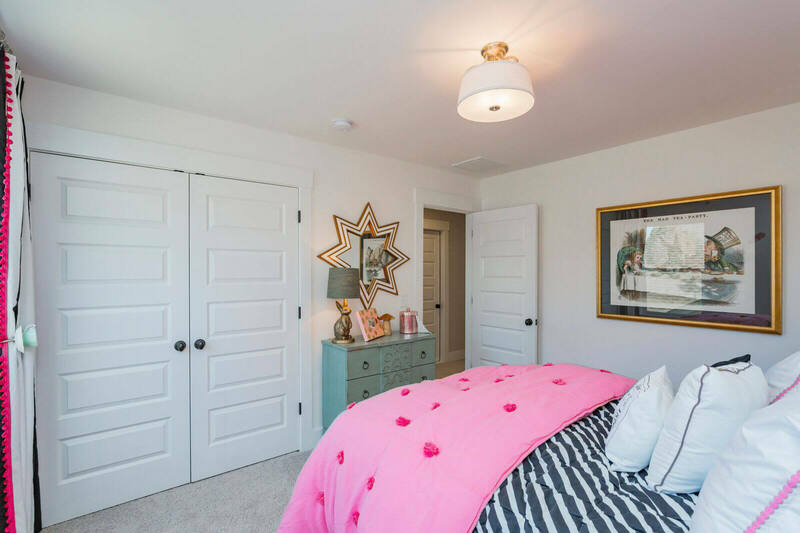 The first floor offers a private guest bedroom along with the grand owner’s suite. 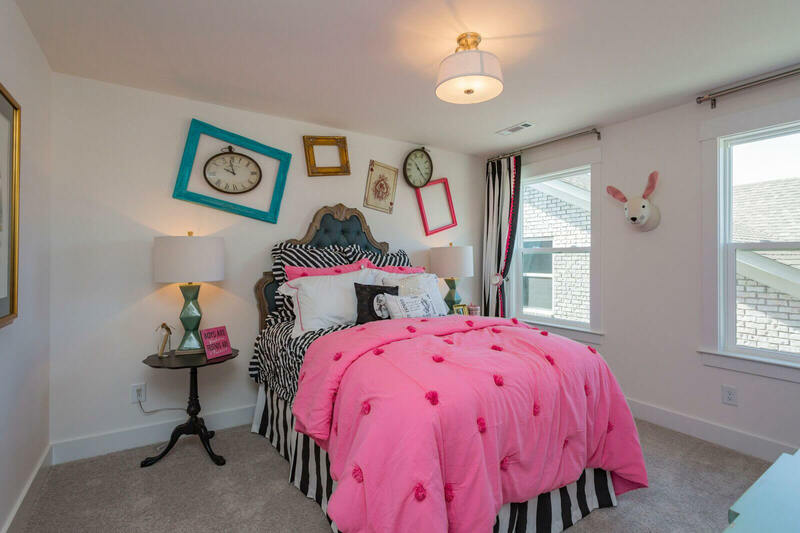 Upstairs is a wonderful retreat with a bedroom, full bath and a game room. 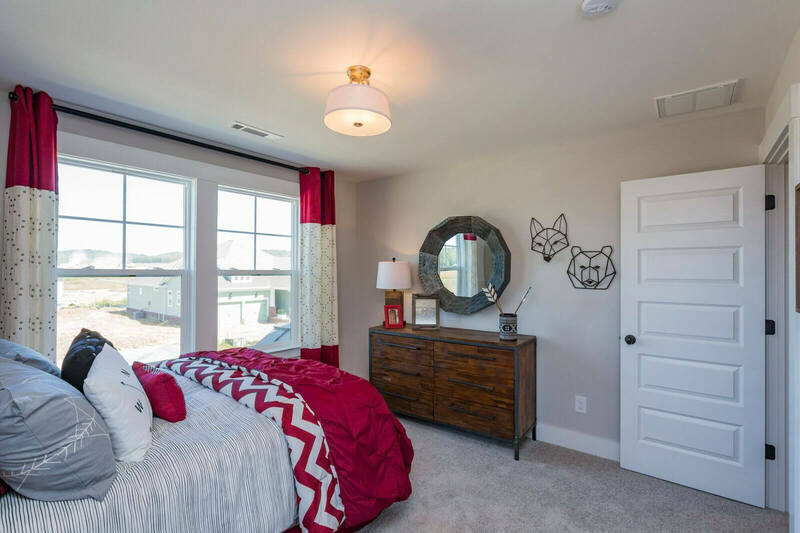 ​Click​ here​ for the interactive floor plan​. 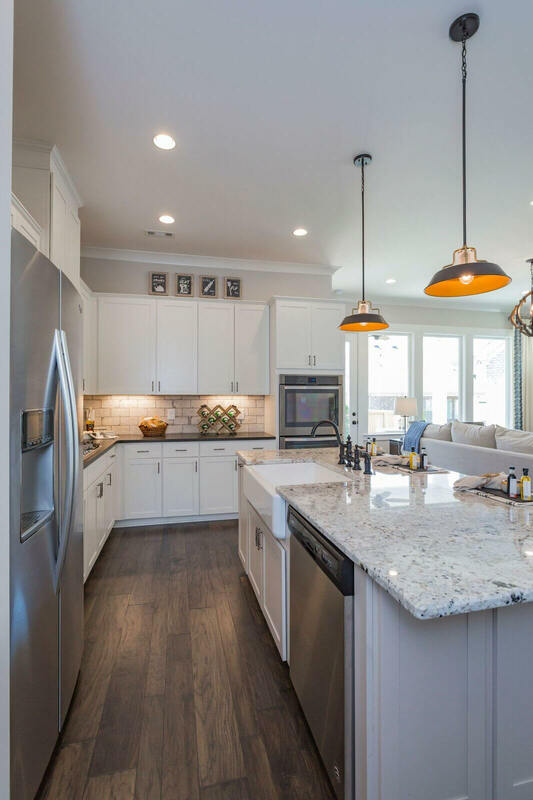 A unique footprint maximizes useful spaces for busy families. 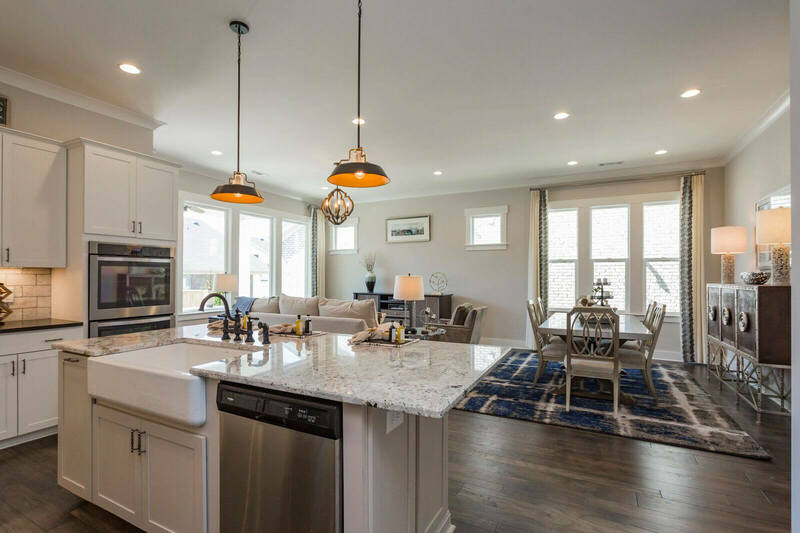 In the main gathering zone, the island kitchen opens completely to the dining area and the living space with a beautiful corner fireplace and large windows. 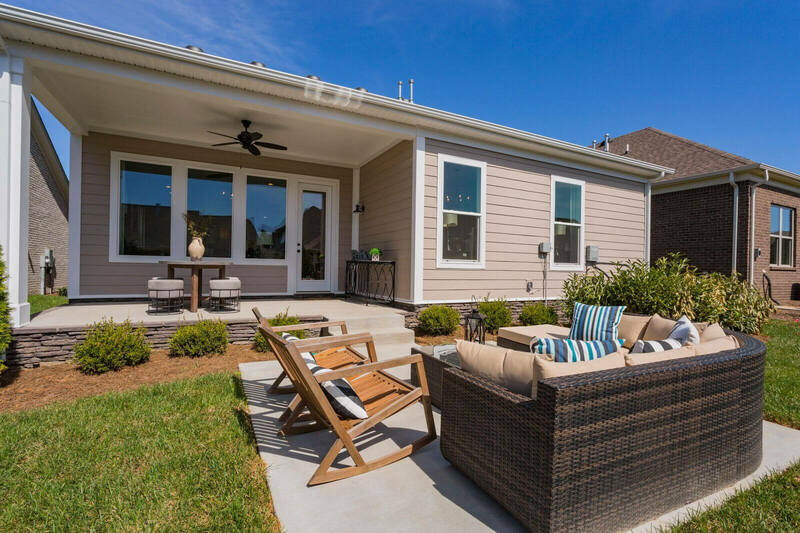 The main level owner’s suites overlooks the backyard with large windows and has a relaxing bathroom with walk-in shower and garden tub. 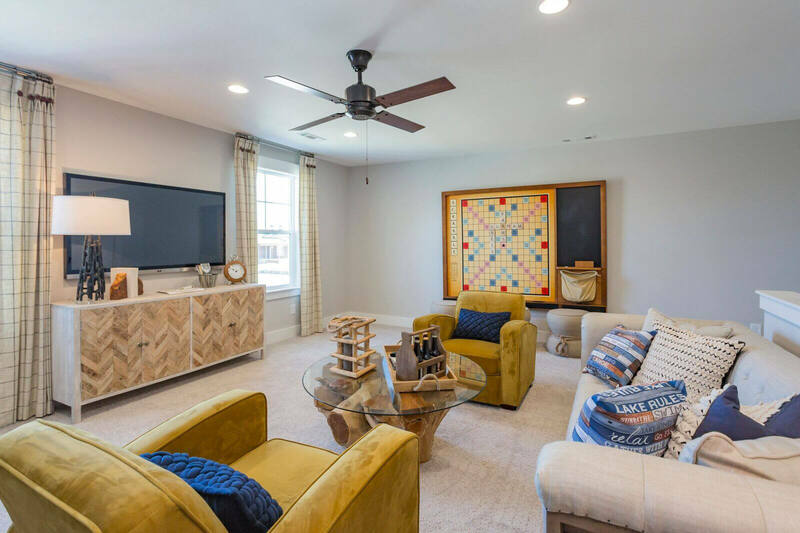 This floor plan is complete with two additional bedroom upstairs and a game room, perfect for kids to host their friends. 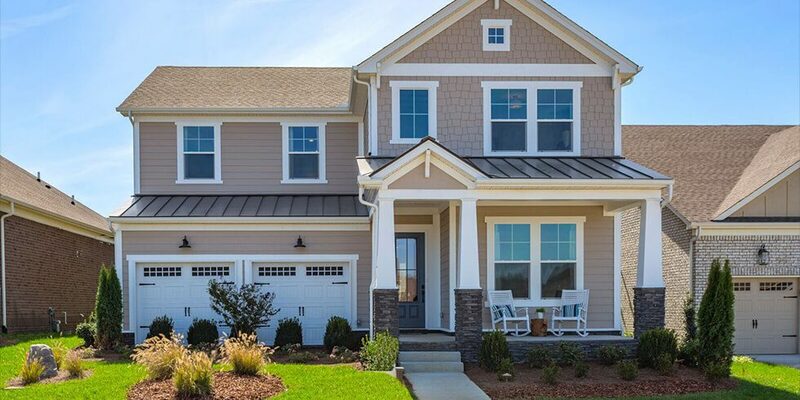 ​Click here ​for the interactive floor plan​.